On September 5, the Punjab government felicitated 38 teachers on the occasion of Teachers’ Day. These teachers were conferred with the State Award for their meritorious services in the field on education. The event for giving the awards to the teachers was held at Mohali. The Education Minister of Punjab, Daljit Singh Cheema honoured the teachers at the function and announced a one-year extension in their services. 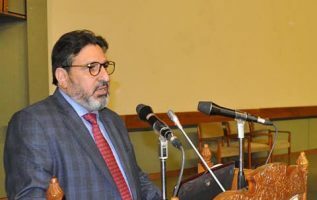 Also, addressing the teachers, Cheema announced that from 2016 onward the awardees will receive a cash prize of Rs 25,000, as against the present cash reward of Rs 10,000. Apart from the 38 teachers who received the state award, 14 other teachers and five education officers were given commendation letters. They received their commendations at the Chandigarh Group of Colleges at Landran. The minister said that the number of teachers is more in some cadres and due to the fixed quota of the awards many teachers miss out the opportunity to be awarded. He added that keeping in view this situation, the number of awards would be increased in accordance with the cadre. Further, Cheema said that due to this cadre situation, 14 teachers have been given commendation letters who lost out on the awards but their services rendered are no less than that of the state award winners. The state awardees received a prize of Rs 10,000, a shawl, a medal and a commendation letter. The other 14 teachers and five education officers were honoured with a shawl and commendation letters. The state also honoured six national award-winning teachers of the previous year at the event.